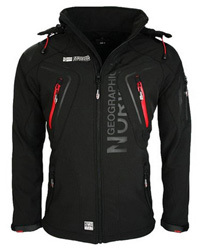 Jackets, being an essential part of our wardrobes, come in different colors, designs and varieties. Regardless of the style you prefer, or what you are looking for, it is guaranteed that you will find the right jacket for the occasion. 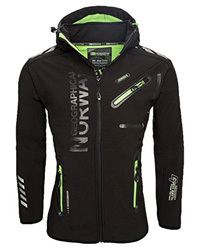 Focusing more on winter jackets, considering that they are the most important winter garment for outdoor wear, here on our website we have gone through numerous designs by different brands. One of these brands is Canada Goose, which is one of the most beloved brands in North America and, due to its popularity, is even renowned in the other continents. Apart from the high quality of the jackets and their incredible warmth and insulation, Canada Goose is also known for its high prices. In a previous piece of ours we have discusses in length why those prices are so high and whether they are justifiable. You can check it out here to get a better understanding of why this brand is so renowned and how it rose to popularity. Our topic for today, in fact, is that of telling apart a genuine Canada Goose jacket from a counterfeit one. With technology constantly evolving, the issue of counterfeit products has become a common thing nowadays, where you can practically find any luxury brand product imitated to great extent, sometimes to the point where it is incredibly difficult to tell that it is indeed a counterfeit one. To counter this problem, many brands have taken extra measures to ensure that their products are more and more difficult to reproduce. Such is the case with Canada Goose, too. With that being said, let’s get started! 1. Why You Should Stay Away From Counterfeit Products? 2. 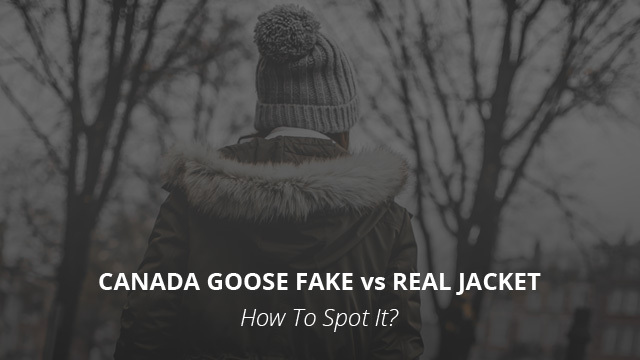 How To Spot a Counterfeit Canada Goose Jacket? While it may seem as if you are getting a better deal for the “same product”, that is rarely the case. 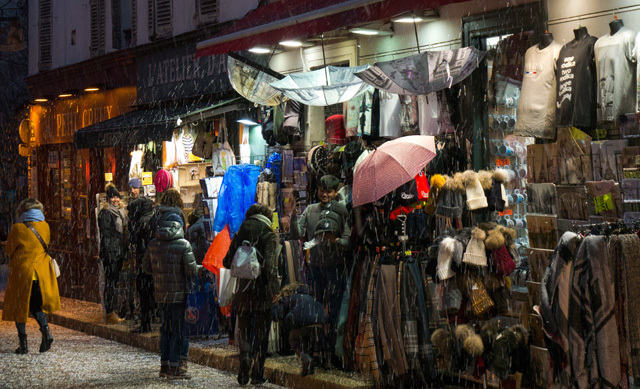 Especially when it comes to clothing brands that design winter wear, such as Canada Goose. Not only are you guaranteed to get a lesser quality product, which as a result means a worse performance and overall durability, but the naturally-sourced materials that are used in counterfeit products can pose a threat to your health. Canada Goose sources its down and coyote fur in ethical way, meeting required standards that guarantee not only that the animals were treated humanely, but also that the down, feathers and fur are all sanitized and of the best quality. This is not at all the case with a counterfeit product, which, not only does not even come close to meeting any standard, but it also can be ridden with bacteria or mildew, due to the use of untraceable fillers and furs. Most of Canada Goose counterfeit jackets are made using illegal and unethical manufacturing practices, not solely due to using lower quality products, but also possibly using child labor as a means of production. As you can see, counterfeiting, as appealing as it may be due to the lower price tag, it comes with serious risks not only to your health and wallet, but also to the environment. You might also like: Canada Goose vs Moncler: Which Brand is Better? 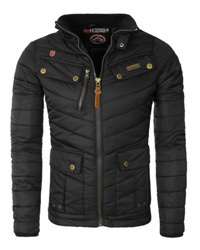 First and foremost, before even getting started with the jacket details, the site or place where you are looking to purchase a Canada Goose jacket is often a clear indicator as to whether you are getting a genuine product or not. Canada Goose has a list of retailers that are endorsed by the brand and only sell genuine Canada Goose jackets. For example, Nordstrom, Moosejaw and some Amazon retailers are genuine retailers. Better yet if you can purchase directly from the brand or one of its stores. For further security, the brand has made available a URL check that allows you to paste the URL address of an online retailer to check whether they carry genuine Canada Goose products or not. As with other genuine and quality brands, the packaging of the product is also of good quality. In the case of Canada Goose, the jacket comes in a white box with the brand logo on the center, and it is folded and covered in clear plastic to protect it. Canada Goose jackets go through a meticulous manufacturing process that ensures every stitch, seam and detail is where and how it should be. Counterfeit products, on the other hand, do not. Therefore badly done stitching is an obvious sign that the jacket is not genuine. The Arctic disc is the Canada Goose trademark, designed in the 1980s by David Reiss and made to represent an inverted view of the North pole, consisting of a white land outline, with small blue details inside. The white mass stands for the ocean and the blue dots are islands, as explained by the brand’s CEO Dani Reiss. The arctic disk bears the Canada Goose name and the “Arctic Program” embroidered on opposite sides of each other, with maple leaves on the sides. How to tell whether the logo is on a genuine Canada Goose jacket? The embroidery details are a dead giveaway, as very rarely will a counterfeit one be so well done that it cannot be told apart from the genuine logo. The maple leaves could be uneven, lacking the characteristic detail that you see in a genuine logo. The “ocean and islands” are also lacking in detail and unevenly embroidered. Another thing to look for is the misalignment of the text or leaves, usually touching the sides or non-symmetrical to each side. Lastly, spelling mistakes are another common counterfeit issue to look for. 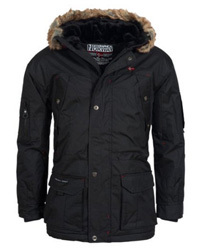 Canada Goose fur trims are made of Coyote fur, which is of high quality and has a distinct look and feel. The trims are incredibly soft and full. On counterfeit products, the fur is neither high quality nor from coyote, usually made from dog or raccoon fur, which is scragglier and stiffer than coyote fur. Therefore, it lacks in fullness and often is accompanied by bad seams on the hood. As of 2017, Canada Goose has begun sewing its unique hologram label on all of its products. This label is created exclusively for the brand and it contains the Polar bear image, as a symbol of the brand’s involvement with the PBI organization to save Polar Bears and conserve their habitat. The hologram is often not present in counterfeit jackets and parkas, and even worse, the label is sometimes badly sewn and messy, with threads coming off and not containing the detailed product information that a genuine Canada Goose label does. However, in cases where both the hologram and a more detailed label is present, you will find inconsistencies when it comes to the hologram positioning and the missing information on the counterfeit label. The video below does a great job of showcasing the differences between a fake and a genuine Canada Goose Chilliwack jacket. You can see all the issues mentioned above that are present in the fake product and also the misalignment of the hologram and the missing product information. Our last advice would be to stay away from sites or sellers that do not pass the Canada Goose URL check or which are reluctant to offer a refund in case of counterfeit products and which are unable to provide quality pictures of the actual product. Previous Article← Canada Goose vs Moose Knuckles – Which Brand is Better?